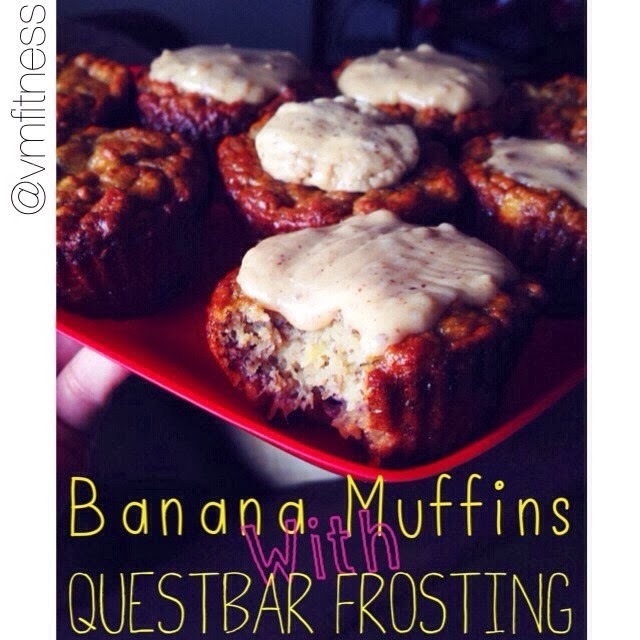 Want to try some delicious guiltfree banana bread muffins covered in frosting?! Preheat oven to 350 F, bake for 20-22 minutes or until toothpick comes out clean. Makes 8 muffins. While muffins cool, make the quest frosting! Put quest bar and water into a bowl and microwave for 20 seconds. Take out and mix until frosting consistency. Slowly add more water if needed to make consistency perfect! I've possessed this toaster oven for 6 yrs from onlytoasteroven.weebly.com. and it's the best toaster oven that I've actually owned. It's well-crafted, toasts and chefs really evenly. I love all the various conditions and on top of that, it continues clean. If any such thing must be cleaned up, the containers, etc. allow it to be quite simple! You receive that which you buy and this is actually the best toaster oven out there!